Per Wikipedia "North York is a former municipality within the current city of Toronto, Ontario"
I should explain. When I am in Canada and want to go to my Shaw account, no problem. But when I am in some other country I use a VPN which makes it look as if I am posting from Canada and not the US, Mexico, or Timbuktu. How do you like tunnelbear? Much speed loss? Any unwanted programs, adware, or other gunk slipped in by using tunnelbear? 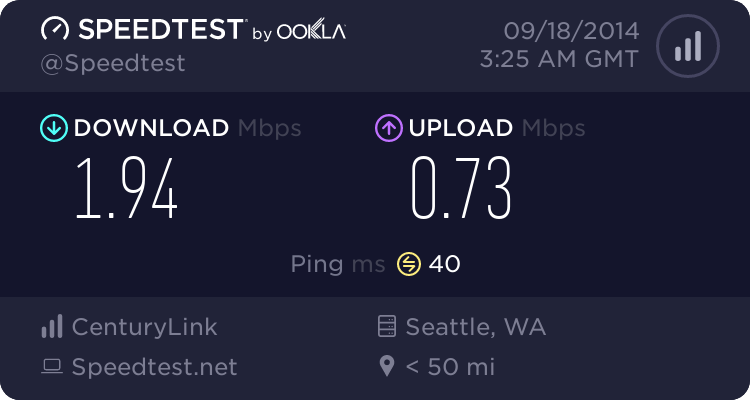 I don't use it very much, but the few times I have done speed tests the speed was down but in my case I am usually streaming music or trying to look like I'm up north when going to a webpage. The folks in the local computer club (lake Chapala) seem to find it the less of all evils, and seem to have less problems with Tunnelbear than with others. The nice thing is you can try them out for free 500 Megs per month for free. Maybe take a look at StrongVPN. We've used them for several months and have had no ads or slowdowns. Their tech support is on the money if you need them. One subscription is good for everything (pc, phone, tablets) so long as you connect to only one thing at a time. It costs $21usd per quarter and has been worth it to us. We primarily use it to look like we're up north or to provide an encrypted level of security when going to financial sites. Oh, I use Windows 7 and Mozilla. BTW, I am using the free version and signed up to Twitter. Promo them there and the free time every month is tripled. That's enough VPN surfing for my needs. Too bad they put so much money into the naming rights for Century Link Field instead of their infrastructure! I am now trying a new VPN, Ipvanish. $10 for one month. Somewhat less when paying for longer periods. Edit: I have had several minor problems, all mine, not quite knowing how my VPN program works, because I didn't read the directions. Would I recommend Ipvanish? It's OK so far but doesn't seem to be rated anywhere by Computer Magazine or anywhere else. What I like about it is that I can choose cities within the country chosen. Now I don't really know how important it is when checking with my satellite TV provider from up north to show not only the correct country but city as well but www.Ipvanish.com lets me do that and Oh some of the sites used by Ipvanish give me great speeds, others terrible speeds. What's the problem? It just may be me, not understanding everything yet. Time will tell. I've been using it for 1 1/2 years. The only problem I have with it is, Hulu locks it out. Does Hulu know about Ipvanish? Well at the suggestion of a poster, I went to a Hulu link using this VPN and attempted to connect to Hulu. Everything went well until I went to a final link provided by a poster and I failed. Hulu suggested that I appear to be using a VPN and that if I am really in the US that I should disable this VPN. Oh well I tried. As you can see. I am learning but not an expert about the subject of VPNs. Thank God I am a satellite junky. In fact some have suggested I have a Satellite dish Farm, which is probably true. I have five. Starting with a smaller elliptical dish (26.5 by 36.5 inches) a 4 foot , 6 foot,& 8 foot offset dish and a 12 foot Ku standard satellite dish, not all of which are connected. But I have plenty of TV, much more than I need. I'm trying a VPN its called IPVanish and has IPs located all over the world. I mentioned it above. What I have been having a problem with and it's been my fault that after turning my VPN off, that my last connection sometimes remained where I had been connected, like in Spain. I just rebooted and will see what my IP location is. EDIT: Well that was a waste of time :) I had gotten rid of any false IP #s using my several VPNs. The problem was that when I went to Google and looked at a Map showing where my IP supposedly was, it incorrectly showed Mexico City. 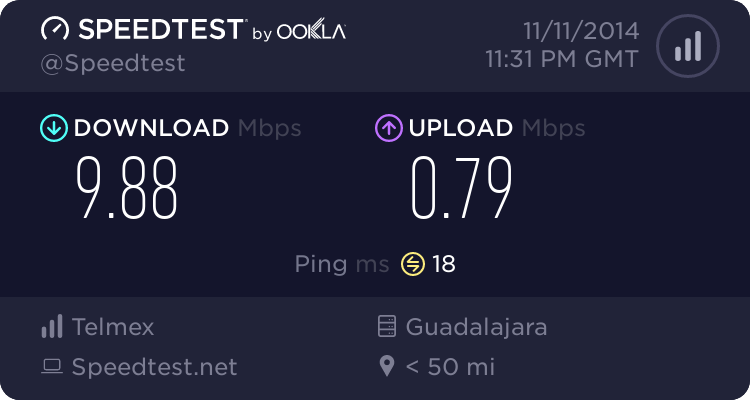 After a little checking I found that my IP address was correctly located near Guadalajara and was the same on other computers connected to the same router and not using a VPN. Try Ipvanish or Purevpn i am sure you will love these tools. I am using in us to access uk ip and result is awesome. find out yourself i hope you will like it.